In 1962, solo exhibition by Warhol at Ferus gallery transformed himself to Pop Artist. 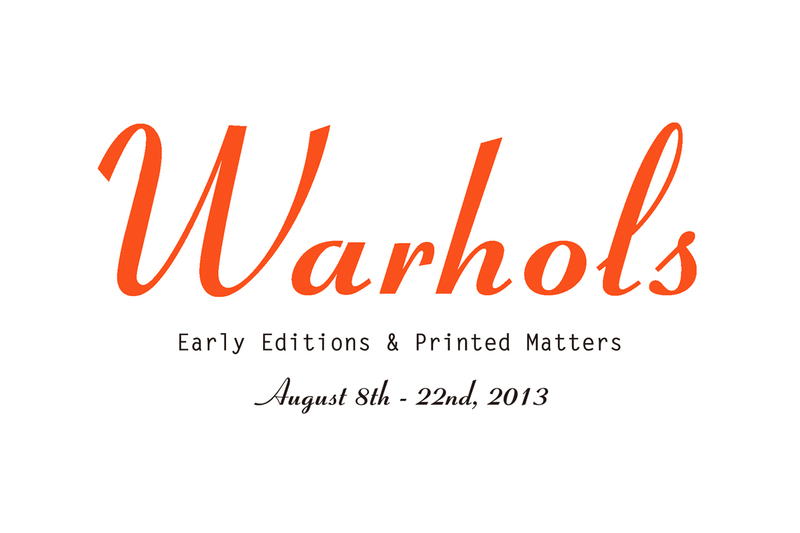 At "WARHOLS - Early Editions & Printed Matters", we will be showing Warhol's early works, after he turned himself in to Pop Artist, through editions, exhibition mailers, invitations and publications, focusing Warhol's 60's. Owner of GALLERY TARGET, Keiichi Mizuno started collecting Warhol's works around year 2000. In 2007, he opened a small gallery, GALLERY TARGET and since then he has been dealing Warhol's works. Most people are familiar with bright colors of Campbell soup cans, Marilyn and Elvis. Mizuno wants to show what was the base of Warhol's works to people in Japan by showing works created from 231 E47st Factory. Much large scale Warhol exhibitions are coming to Japan from this August. We hope that our exhibition will be a small but kind of a introduction to these museum exhibitions. GALLERY TARGET is located in Harajyuku where attracts much younger generation. It will be very meaningful not only to the gallery but to the visitors to be able to see and be inspired from this exhibition.